Michael Leibenluft‘s directing credits include I’ll Never Love Again (a chamber piece) by Clare Barron at the Bushwick Starr (NYT and Time Out critics’ picks), How I Learned to Drive by Paula Vogel with Drum Tower West Theater in Beijing, Lost Tribe by Alex Borinsky as part of Target Margin’s Yiddish Theater Lab, the Subtle Body by Megan Campisi at 59E59 Theaters and the Shanghai Dramatic Arts Center, and other projects with LMCC, The Civilians, EST, and NYU/Tisch. Michael has assistant directed at Signature Theatre, Playwrights Horizons, Atlantic Theatre, P73, and American Theater Company. Michael graduated from Yale University as a double major in theater studies and east Asian studies and completed his masters in performance studies at the Shanghai Theatre Academy. 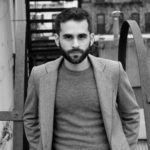 He is a member of the 2016 Soho Rep Writer/Director Lab, a 2010 recipient of a China Fulbright Research Grant as well as a member of the 2013 Lincoln Center Directors Lab, a SDCF Kurt Weill Fellow, and a 2014 Drama League Fall Directing Fellow. Upcoming projects include a new bilingual Mandarin/English piece in collaboration with The Lark, The Sichuan People’s Art Theater, and The State Department, as well as a project about Chinese start-ups with the National Theater of China. I will be working on a theater/performance project around the topic of “the Other.” Possibilities include a multicultural/multiracial imagining of Fiddler in the Roof and an examining of the Jewish and Chinese histories of the tile game majiang. While I had a Jewish education growing up, I’ve never participated in any sort of rigorous study of Jewish liturgical text, so I’m very excited for that. I love being a part of groups of artists from different disciplines because I think it helps keep me sensitive to the expansive possibilities of my work. I identify as Jewish and as an artist but these two facets of myself don’t frequently intersect. I’m curious as to what it means to be a “Jewish artist” beyond the content of your work: what are the ethics and processes drawn from Jewish culture and tradition that could inform our artistic creation regardless of content? 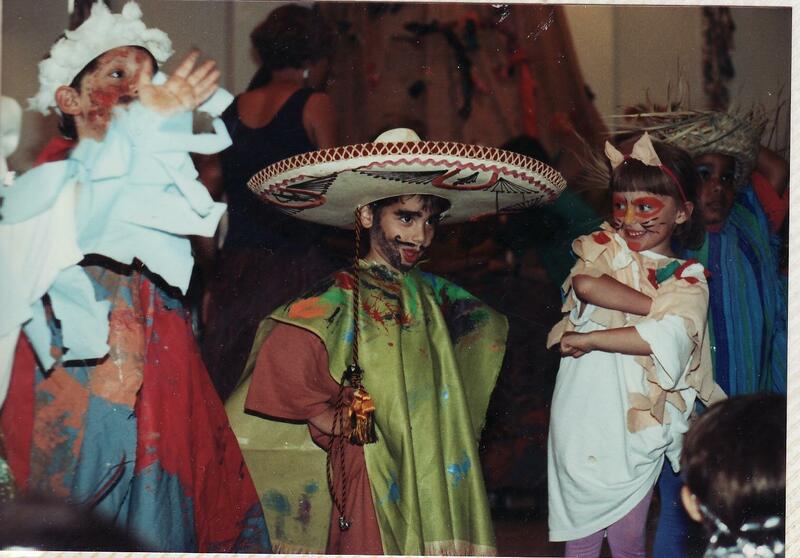 The oldest photograph I have of myself performing is from a small school play we presented in Kindergarten. I stand in a painted green smock with hands on hips, a grand expression (and painted mustache) on my face, and a giant sombrero on my head. I think I was supposed to be a Mexican overlord, but I don’t really remember anything about the play. All I remember is the feeling of attention from the audience, the license to play and use my body and voice in a different way. It’s a distinct snapshot of me discovering the thrill and liberation of performing, of representing another person – an Other – with my body, my voice, my imagination. But what does it mean that one of my first memories of performing was also an instance of playing the Other in a cultural and linguistic sense, a moment of cultural exploration at best and tokenization at worst?